When most people think of solar cookers they picture a flimsy cardboard box lined with tin foil and half cooked chicken. Those days are long gone. Solar cookers can perform any task that a conventional oven can. They can roast meat, steam vegetables and bake bread, all this by making use of solar energy. Some are as powerful and even more expensive than conventional ovens. Here are five things you didn’t know about solar cookers. Different kinds of solar cookers require different cooking methods. Depending on the weather, high performing parabolic cookers can generate heat of up to 400 degrees. This means that they can cook steaks within minutes and boil water as fast as a kettle. Just like the name suggests, the box and panel designs are box shaped with a glass or transparent plastic lid. Panels reflect sunlight into the box where it heats up the pots or pans while the lid keeps heat inside like a greenhouse. These designs can generate heat of up to 150 degrees. Parabolic cookers work by concentrating solar energy onto a single point like the bottom of a pot, pan or kettle. This concentration of energy causes pots or pans to heat up very quickly to temperatures that are comparable to that of gas or coal grills. Paraboloidal cookers work as well if not better than conventional stoves. They generate high temperatures and cook quickly. Unfortunately they are very difficult to construct and as a result they are more expensive to create than parabolic cookers. 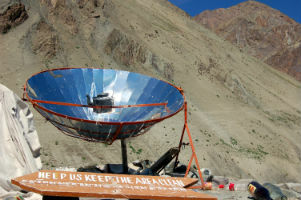 Paraboloidal solar cooker boiling a kettle in Tibet. 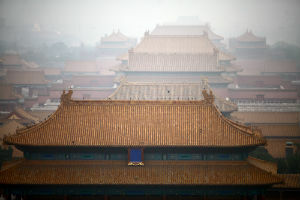 There are some parabolic projects in China that reduce carbon emissions by one to four tons per year. Another advantage is that 2.5 Billion people around the world cook on open fires. That is a whole lot of biofuel, mostly wood, being used. Solar cookers can therefore contribute quite significantly to lessen desertification and deforestation. Solar cookers are already popular around the world. In China and India hundreds of thousands of families use them to prepare meals and heat water every day. They are also becoming more popular at camping spots where solar cookers are being installed. India has the largest solar cooking systems in the world. 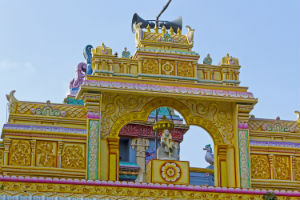 At the temple of Tirumala in Andhra Pradesh the solar kitchen has the capability to serve 15 000 pilgrims a day. An even larger system at the shrine of the 19th century saint Sai Baba can feed up to 20 000 people a day. For more information about solar energy fill in the contact form here.